Looks can be deceiving. 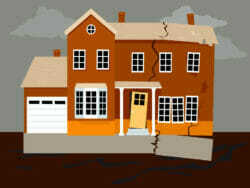 The area near where the bottom of the garage door comes down often has limited deterioration or damage to the concrete. 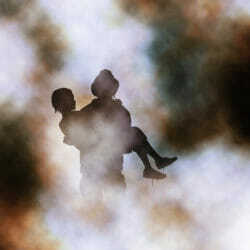 This is not unusual and generally relates to how the concrete finishers did their job. 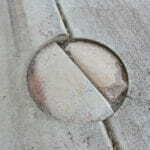 The concrete in this area often has a thin layer of cement past that has flaked away leaving a rough look. 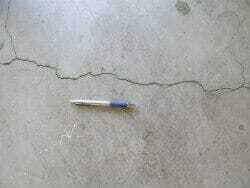 This flaking may be the thickness of a dime or nickel and in a long line parallel with the garage door bottom. 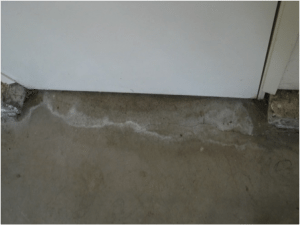 In the process of finishing a garage floor, just after the concrete has been placed but not hardened, there is some amount of bleed water that comes to the surface. It’s natural. This bleed water can create laitance. Laitance is a soupy mixture of cement, fine sand and water that accumulates on the surface when using wet concrete mixes that bleed excessively. 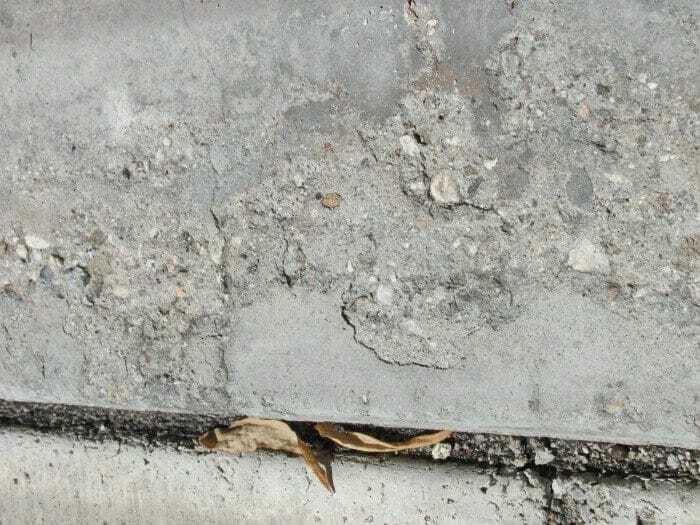 If the finishers added too much water to the concrete or over finished the concrete, then laitance will also occur. 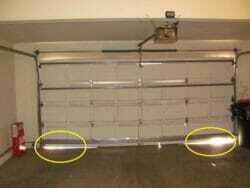 The most common area for this to occur is at the bottom of the garage door area. The concrete normally is still structurally strong. This issue is generally a cosmetic issue. Who to consult? 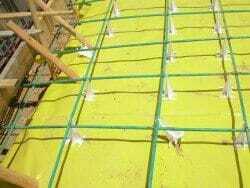 Concrete finisher, qualified handyman or epoxy flooring contractor. 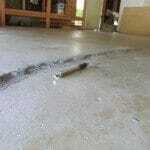 DIY home owners will often patch or epoxy their garage floor. 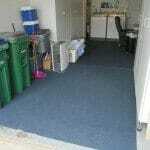 Concrete finishers, qualified handymen and epoxy flooring contractors also may do maintenance and patching. 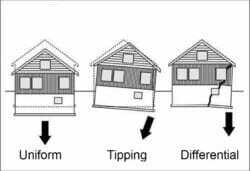 The two areas that most often allow water to enter and settle onto a garage floor are a side or back door to the exterior of the garage or the bottom area of the vehicle door. 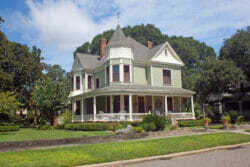 Roof tune ups or repairs is wise when shingles are out of place or damaged. 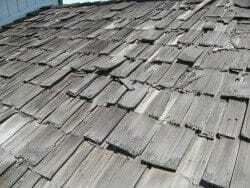 At time re-roofing may be necessary. 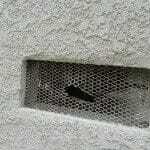 Patched Holes in Garage Floor: Structural Issues Or For Pest Control Treatment? 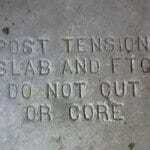 Post Tension Sign Stamped in Garage Floor: What Does It Mean?